Just imagine the kind of moments or scenes (vocabulary is not important here), Russo brothers have in store for us for Avengers: Endgame. Well, it's pretty easy to predict with the number of promos and TV spots they are releasing. Yes, as we know Marvel is back with its new TV spot for Endgame and it revolves around Captain America's speech for one last time before they set out to beat the Mad Titan. After the return of Iron Man from the space and the inclusion of Ant-Man and Captain Marvel in their team, the Avengers are determined to fight for the fallen heroes and look out for each other at the same time. Mark Ruffalo Claims He Shot Five Endings For Avengers Endgame and Captain America is Married in One of Them! The new TV spot sees Captain America briefing his superheroes team by saying, 'You know your teams, you know your Mission. No mistakes, no do-overs, Look out for each other. This is the fight of our lives.' We believe the briefing is right before they decide to enter the Quantum Realm with Ant-Man. Dunno about you folks but we are definitely all pumped up after hearing his motivational words and can't wait to see how they pull down the curtains on this epic crossover. Road to Avengers EndGame: From Jeff Bridges in Iron Man to Brie Larson in Captain Marvel, All Oscar Winning Actors in MCU, Ranked Based on Impact. 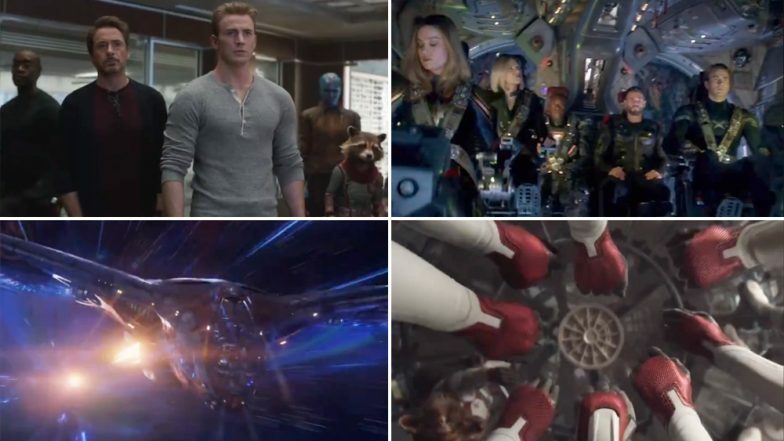 Avengers: Endgame is all set to hit the screens on April 26 and while we are ready to read this chapter for one last time, our hearts say, 'Not so soon.' Directed by Russo brothers, Endgame will bid adieu to many prominent names and we already have enough boxes of tissues that will accompany us to the movie theatre.